When you're busy, on the road or in meetings you'll need a cost efficient answering service to manage your customer and supplier relationships. Here at wetakeyourcalls.co.uk we provide a virtual receptionist service second to none for high standards and value for money. Trained professionals will be your telephone ambassador, answering calls on your organisation's behalf, ensuring you never miss a call. All call details can be emailed (free) or sent by text (12p) to you for follow up. We can contact you and announce the caller and either take a message or put them through to you. With access to your online diary we can make provisional appointments for you to confirm later. 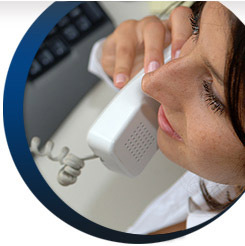 We can help your business grow by providing an efficient and professional yet virtual receptionist service. Don't just take our word for it! Take a look at our testimonials page to read what our clients are saying about our telephone answering services! If you'd like more information on our virtual receptionist or phone answering service, please Contact Us or call Freephone 0800 198 1010.